Almost 16 years ago, I wrote an article titled “In search of perfect vision,” in which I discussed the opportunities and challenges associated with customized soft contact lens correction. That article discussed the possibilities of correcting the higher order aberrations of the eye with soft lenses and the potential improvements in vision that might arise. With the subsequent advent of clinical Hartmann-Shack wavefront sensors (aberrometers), we now have a much better understanding of the nature and range of higher order aberrations that affect the eye, and there has been some significant progress in understanding the potential visual benefits of correcting higher order aberrations. 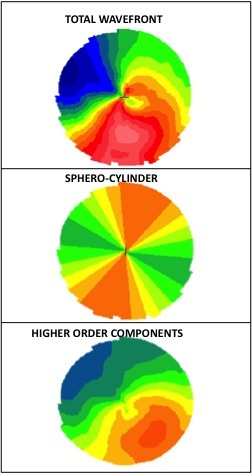 The higher order aberrations affecting patients with conditions such as keratoconus, pellucid marginal degeneration and post-keratoplasty are often substantial and can severely limit vision outcomes with simple sphero-cylindrical correction in soft lenses. These patients, failed rigid lens wearers in particular, have the most to gain from higher order aberration correction. However, for most patients with simple refractive errors, the level of higher order aberrations in the eye is much lower, but in some eyes it still limits vision (particularly at night when the pupil is larger). The use of adaptive optics (eg. flexible mirrors and spatial light modulators) has allowed us to test the impact of higher order aberration correction on the quality of vision. These studies have shown that correcting eyes that have moderate to high levels of higher order aberrations can markedly improve visual acuity. 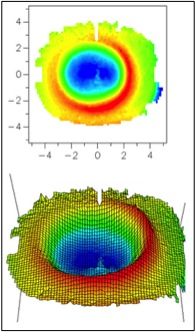 The advantage of using adaptive optics is that issues of contact lens centration and rotation are eliminated, and the optical advantages of higher order aberration correction can be studied without the complications associated with complex manufacturing and the biomechanical/fitting (eg. centration and rotation) accuracy as confounding variables. In the case of keratoconic eyes, these adaptive optics studies have revealed the fascinating presence of partial neural adaptation to an eye’s own optical distortion (eg. Sabesan and Yoon 2010). This is further complicated by the constant changes that occur in the optics of the eye associated with accommodation and even diurnally associated with the natural biomechanical forces acting on the eyes (eg. eyelid forces). In addition to correcting the higher order aberrations of the eye, there are opportunities to deliberately introduce aberrations into the eye using contact lenses to provide benefits for young myopes and presbyopic patients. Research into the development of refractive error in animal models has shown that the eye responds to the sign and magnitude of blur (emmetropization) by growing in response to negative blur and stopping/slowing growth in the presence of positive blur. We don’t yet know how the eye manages to achieve this remarkable control, but it happens in all animals tested and almost certainly happens in humans as well. So some of the big questions about human myopia are, therefore, what could constitute a negative blur signal for eye growth, and can we use positive blur to slow eye growth? Research into the visual optics of eye growth has suggested various candidates for negative blur cues to eye growth (eg. lag of accommodation, on-axis aberrations, off-axis aberrations), but the jury is still out on this issue. On the other hand, many options are being tried, with some success, to introduce positive blur to control myopia with contact lenses. In its simplest form, alternating monovision correction has been used to produce positive blur (at least for half the time) and to slow eye growth. A range of designs have also been used to introduce positive aberrations into the optics of soft contact lenses. To date these designs have mostly been based on centre distance optical designs with peripheral plus introduced through concentric bands of power or progressively increased power in the periphery of the optical zone. All of these designs have demonstrated some slowing of eye growth in young myopes, and this is encouraging. However, none of them have shown better performance than orthokeratology has to date. It seems likely that the positive blur introduced by the peripheral cornea after orthokeratology is the reason for slowed eye growth with this modality, although other factors can’t be completely ruled out. The introduction of positive aberrations into the cornea or contact lenses does appear to show great potential for controlling myopia progression, but until we understand how and why it works, we can’t really tailor our optical control to suit the individual patient (it’s currently a bit like giving a +2 D add to all presbyopes). An obvious consequence of introducing positive aberrations to the eye to control eye growth in children is the impact on vision quality. If, as I argue above, correcting the higher order aberrations of the eye improves vision quality, then introducing higher order aberrations to control eye growth must reduce vision quality. This is a factor that needs careful consideration in the future when we weigh the benefits of controlling myopia progression versus the quality of vision in children. Hopefully we can find a reasonable compromise between these two factors. Like young myopes, presbyopes also require the introduction of positive aberrations in the optical design to compensate for their loss of accommodation. Again, countless optical designs have been used to produce these aberration profiles, dividing the incoming light into a range of focal lengths to enhance the depth of focus of the presbyopic eye. Unfortunately, the quality of vision also suffers as the introduced aberrations influence image quality across the range of object distances. The well-known compromise between depth of focus and vision quality in simultaneous vision correction of presbyopia is similar to the problem facing the designers of contact lenses for controlling myopia progression. I never fail to be amazed by the complex interactions between the optics of the eye, vision and eye growth. Understanding the optics of the eye is the key to many of the big challenges and opportunities in vision correction with soft contact lenses. Collins MJ. In search of perfect vision. Australian Optometry, Contact Lenses Supplement 1996; 17-19. Sabesan, R., & Yoon, G. (2010). Neural compensation for long-term asymmetric optical blur to improve visual performance in keratoconic eyes. Investigative Ophthalmology & Visual Science, 51, 3835–3839. 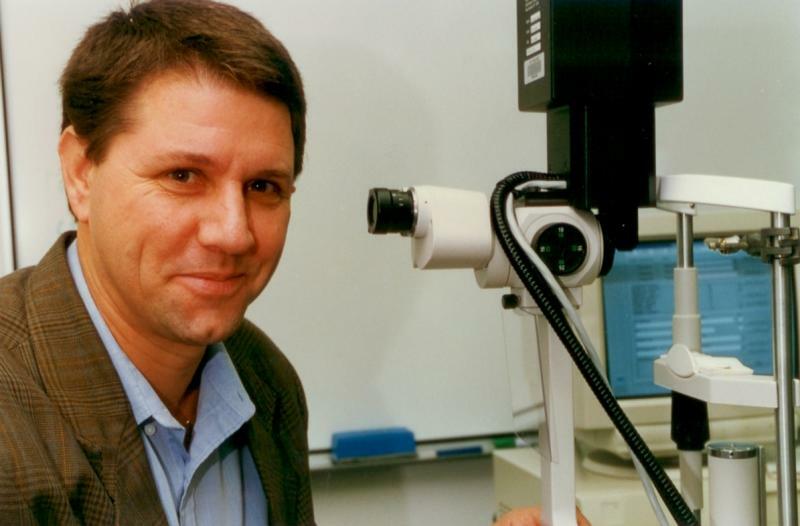 Michael Collins is a Professor in the School of Optometry and Vision Science at the Queensland University of Technology (QUT), Brisbane, Australia. He originally trained as an optometrist and has since completed a MAppSc in visual psychophysics and a PhD in visual optics. He teaches the contact lens program and manages the contact lens clinics at QUT. His research interests include the visual optics of the eye and contact lenses, myopia, and biomechanics of the eye. His research laboratory is called the Contact Lens and Visual Optics Laboratory.